The GMOS-MOST-01 interface by Axxess allows you to install a new car stereo, while retaining your vehicle's MOST amplifier along with its factory 3.5mm AUX input. You'll also keep OnStar® (and its Bluetooth® features), factory backup camera, Rear Seat Entertainment system, warning chimes, and Retained Accessory Power (RAP). The interface provides accessory power for the aftermarket radio and all the connections you need for a DVD or navigation receiver. The interface also includes a prewired harness for the ASWC-1 steering wheel control adapter (sold separately), making it much easier to keep your steering wheel controls. The GMOS-MOST-01 is micro USB updateable. 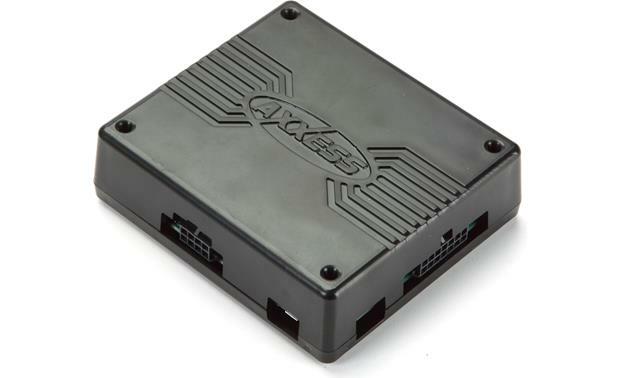 Radio Replacement Interface (for GM): The Axxess Integrate GMOS-MOST-01 allows you to replace the factory radio in select GM vehicles with an aftermarket head unit, while retaining factory features that are normally lost when removing the factory radio. Retained Features: The Axxess Integrate GMOS-MOST-01 will retain your GM vehicle's factory MOST amplifier, OnStar, Bluetooth, Aux input, backup camera, R.AP., warning chimes, & turn-signals. MOST Amplifier: This radio replacement interface allows you to retain your GM vehicle's factory MOST amplifier. OnStar: The GMOS-MOST-01 is designed to retain the factory OnStar emergency services system that would normally be lost when your GM factory radio is replaced with an aftermarket stereo. Bluetooth: The GMOS-MOST-01 also retains your factory Bluetooth microphone & functionality. Aux Input: To retain your GM vehicle's factory Aux input, your aftermarket stereo must have a rear-panel Aux input (male mini to female stereo RCA adapter may be required, sold separately). 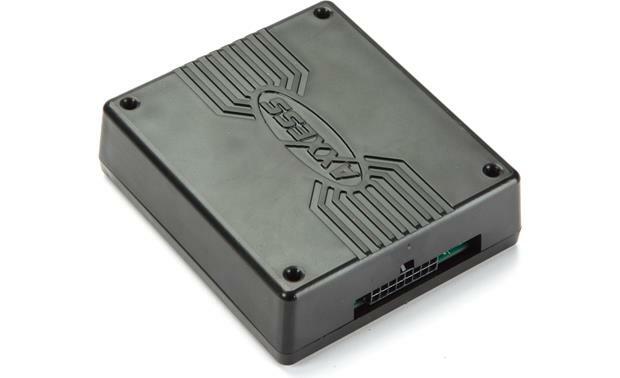 Backup Camera: This radio replacement interface lets you retain your vehicle's backup camera by connecting to your aftermarket head unit's composite video camera input. R.A.P. (Retains Accessory Power): The ignition power source of most GM vehicles keeps the radio on until one of the doors is opened. This feature is called the R.A.P. (retained accessory power) and is retained with GMOS-MOST-01 interface. Warning Chimes & Turn Signals: The GMOS-MOST-01 radio replacement interface module also retains your vehicle's factory warning chimes and turn signals. Outputs: The GMOS-MOST-01 radio replacement interface module also provides accessory power for your aftermarket stereo, as well as navigation outputs such as parking brake, reverse, mute, and vehicle speed sense. 12V/10A Accessory Output: In these GM vehicles, there is no 12-volt accessory wire in the factory harness, which requires the installer to run an accessory wire to the fuse box or underneath the steering column when installing an aftermarket radio. The GMOS-MOST-01 is designed to provide a 12-volt/10-amp switched accessory output (red wire) for your new aftermarket head unit. Navigation Outputs: The GMOS-MOST-01 also provides parking brake, reverse, mute, and vehicle speed sense (VSS) to make installing an aftermarket Navigation head unit simpler and less time consuming. 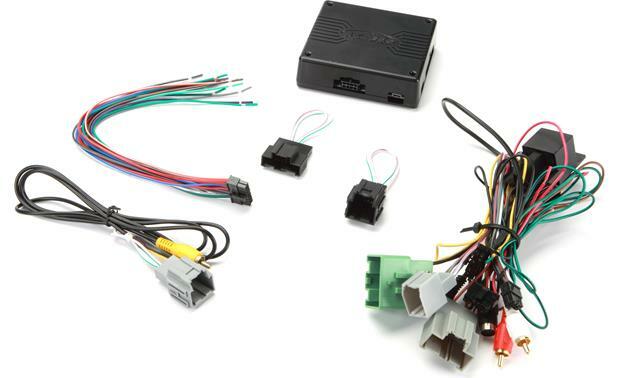 Optional Steering Wheel Control Interface: The pre-wired SWC harness features a right-angle 3.5mm connector that lets you keep your GM vehicle's factory steering wheel controls via the ASWC-1 Steering Wheel Control Interface (120ASWC1, sold separately). Optional LCD Module: The AX-LCD (120AXLCD, sold separately) allows you to retain the personalization menu that is lost when you replace the factory radio in your GM vehicle with an aftermarket stereo. The LCD module consists of a 2.5" (diagonal) screen which offers 256 color adjustments. There are 4 push-button controls to toggle up/down through menu options, return to previous menu, and select current menu option. Searches related to the Axxess GMOS-MOST-01 MOST Wiring Interface Allows you to connect a new car stereo and retain the factory MOST® amp, aux input, and OnStar in select 2014-up GM vehicles.